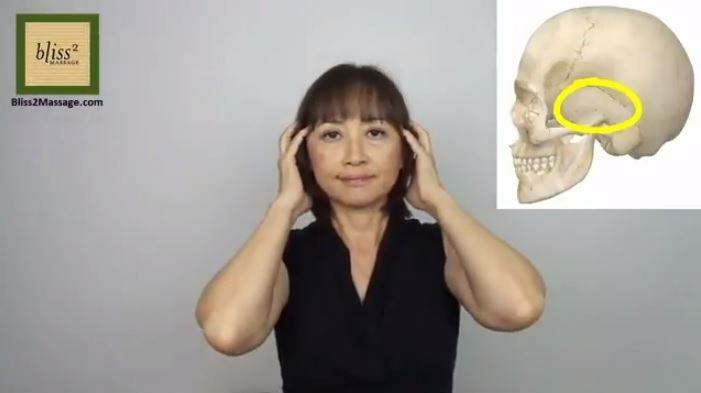 This week I’m going to show a quick and easy skull massage. I have been doing this to myself lately as a picker-upper for more energy, circulation and clarity in my head. 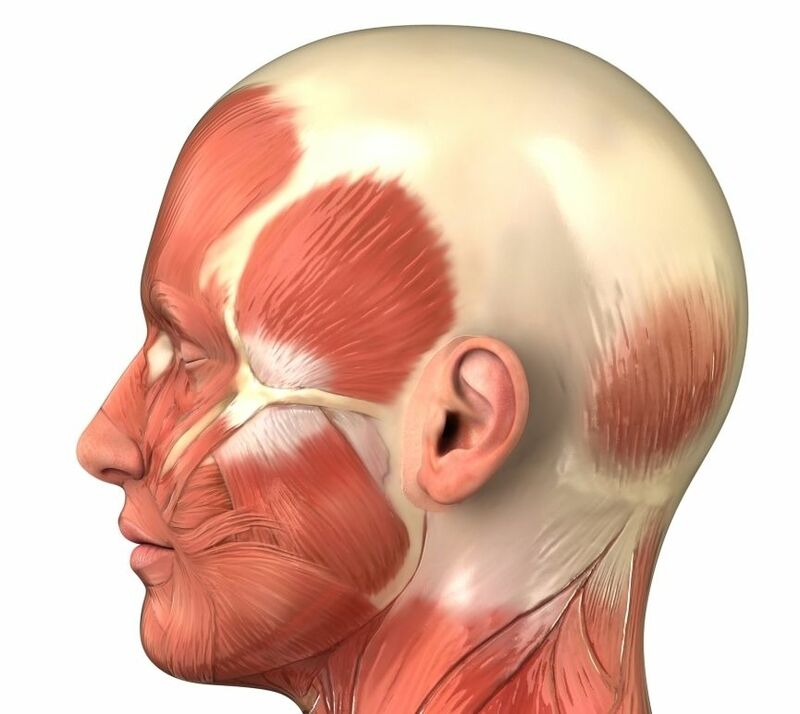 As you can see on this head diagram, there is a big white tendinous part and some red parts which are the muscles with blood circulation. 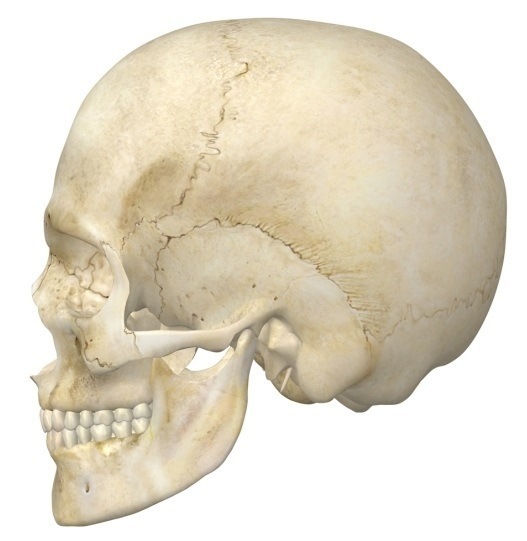 These muscles are located along the parts of the skull so I’m massaging my head according to the skull structures. 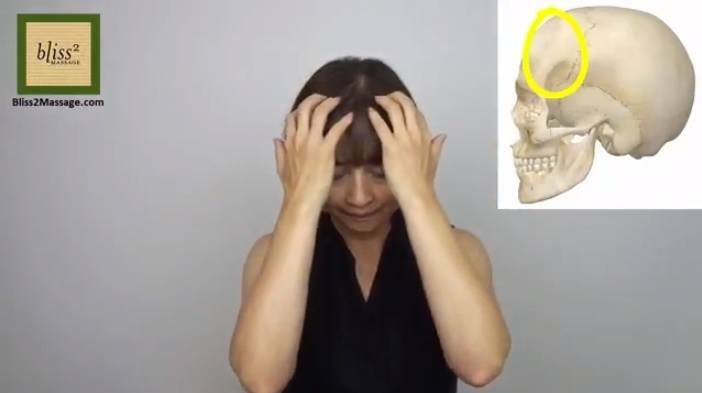 When you massage the skull, you are massaging the muscles as well. So first, massage the frontal with fingertips. I move the scalp 10 times on 3 locations. I don’t glide my fingers because this is a picker-upper and I do not want to mess up my hair. 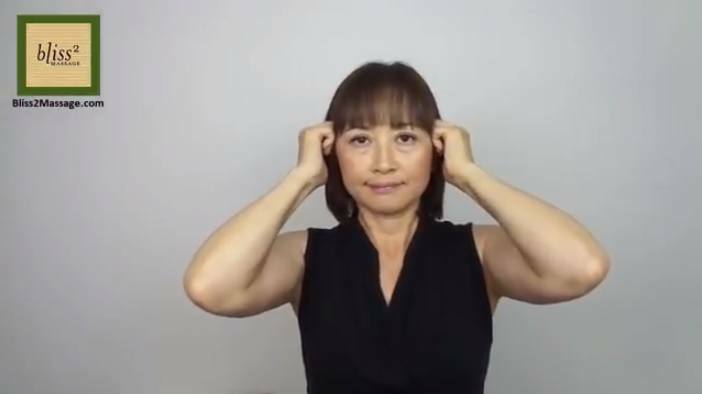 Next, massage the temporal bones above the ears with the fingertips or flat part of the loose fists on both sides. 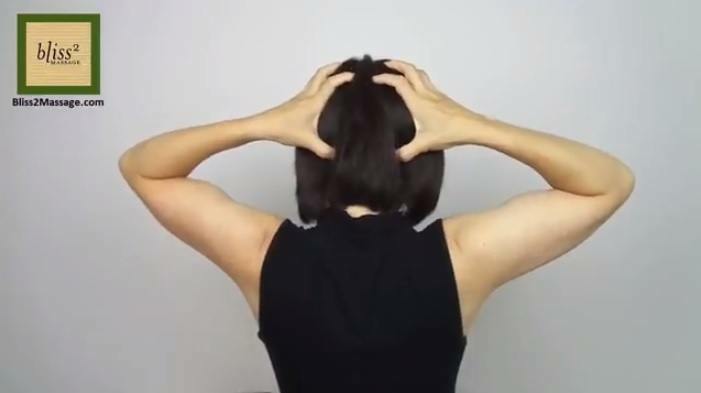 I divide it into 3 sections and massage by moving the scalp 10 times up and down and move up to do the next section. 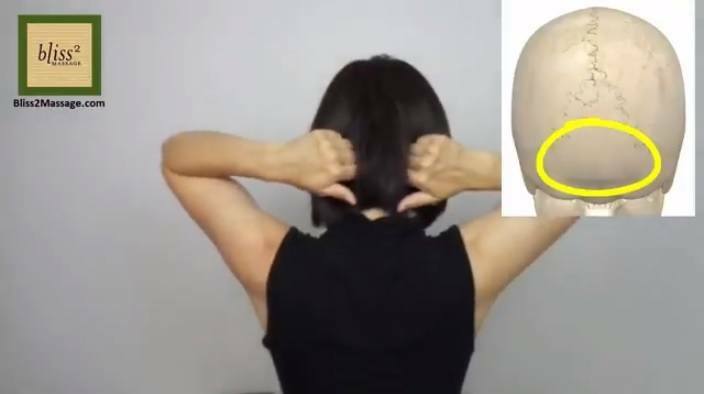 Finally, massage the occipital bone in the back. Using the flat part of the loose fists, massage this area with 10 small side-to-side moves on 3 locations. Then, finish up with 5 good circle presses with the hooked thumbs and clawed fingers. So try this and let me know how you feel.